In some instances it may be necessary to go beyond a basic visual inspection of a tree. In such cases we may recommend the use of a Resistance micro drill. 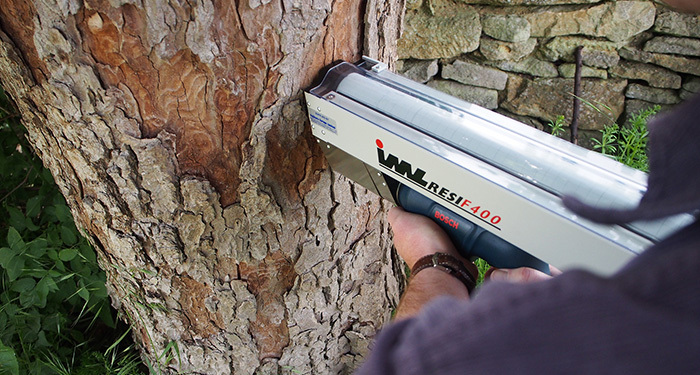 This tool utilises a very fine drill to measure the resistance encountered within the wood and can therefore provide a relative assessment of the presence of degraded wood and its extent which could affect the structural integrity of the tree. In some cases it may not be appropriate to use a micro-drill or there can be disadvantages in using such a technique. In which case it may be appropriate to use a non-invasive technique as detailed below. To provide a baseline for the monitoring of progressive decay. It is accepted across the Arboricultural industry that undertaking tree inspections from ground level is appropriate in the majority of cases. However, in some instances specific defects in the canopy or the presence of old cable braces may necessitate the need for closer inspection. 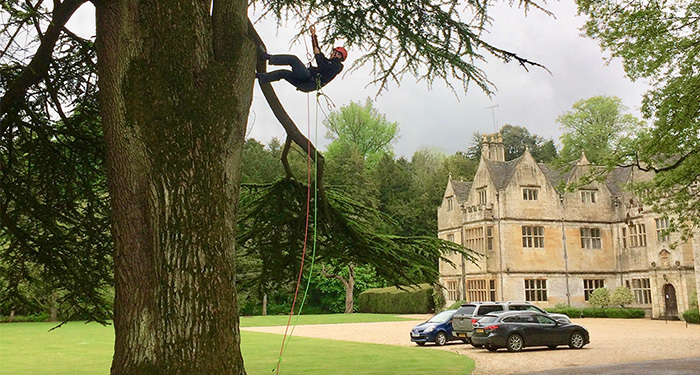 Using safe and efficient rope access techniques, our qualified tree climbers can access all aerial parts of the tree and undertake assessments to fully inform management decisions. Visual tree assessment can tell us a certain amount about the physiological health of a tree; leaf size, density and colour will vary according to the vitality of the individual tree. However, new technology now allows us to test trees for stress that is invisible to the naked eye. 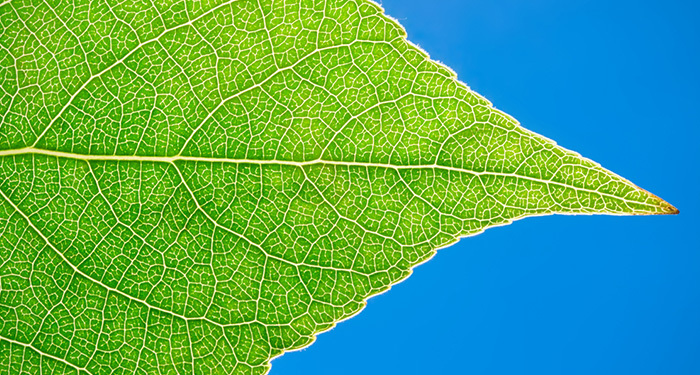 Leaf chlorophyll fluorescence and chlorophyll content are key indicators of a tree’s ability to efficiently photosynthesise (the process of turning sunlight and carbon dioxide in to energy for the tree and oxygen for us). 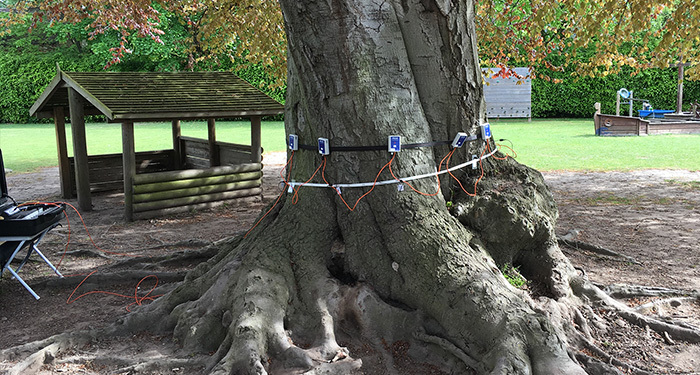 Accurately measuring these indicators is a scientifically robust way to evaluate stress experienced by trees that may have occurred due to drought, nutrient deficiency or root damage. The readings are then benchmarked against a database of known values for healthy trees. Remedial treatments to improve health can be specified once the significance and probable cause of stress is identified. In some cases, such as in the planning and implementation of construction works, it is critical to understand the nature and distribution of tree roots and the nature of the soil. We like to provide detailed information instead of relying on assumptions about the distribution and depth of roots; we find that trees often contradict arboricultural text books! 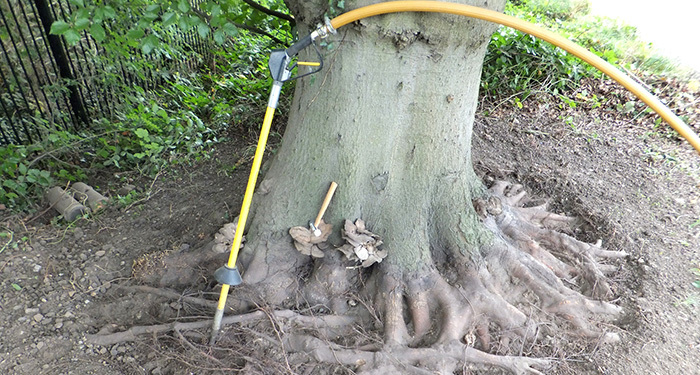 In order to do this, we use a high pressure air tool (air-spade) to sensitively excavate around tree roots. This method can also be used to excavate trenches for the installation of new services within rooting areas. Our air-spading service is also used to remediate the rooting environment if a soil’s structure has been damaged, for example on construction sites where unauthorised movement of vehicles around trees has occurred. Soil structure can be improved by the breaking up of soil to increase pore space, and by applying organic mulches to promote natural soil biota.